Electronics and Telecommunication engineering [UG] course started in 1993. The department is well established and having well qualified and experienced staff members. The students learn mainly about the characteristics and operation of various electronic components like diodes, transistor, BJT, FET, MoSFET, UJT, Op-Amp, thyristor, Various Digital and AnalogICs etc. Also they learn about PCB design and troubleshooting is various electronic systems like T.V, industrial Controllers, and Microprocessor etc. They learn about the programming Assembly level languages in Microprocessor and Microcontrollers, which are in more demand due the compact embedded systems. They also learn about the technologies of the 21st century like Mobile Communication, Wireless Network, Satellite Communication, Computer Communication Network, Microwave Engg. etc. They also learn about the different antennas and the towers installation as well the fixed and wireless communication switching centers installation and their setup. They even study about Robotics and Industrial automation, Control and Measurement. Every year we are organizing Industrial visits, Technical seminars and Technical festivals (Robotics, Paper presentation, LAN gaming, Hardware design etc.) to upgrade knowledge of students and staff members. Department is also motivating and sponsoring our staff members and students for attending workshops and seminars to various Institutes. Also department is sponsoring the staff members for higher studies and research work. Every year we are organizing farewell, alumni meet, sports and cultural functions. Students of our department are doing their project in house & various industries. Our students score very good RANK in Mumbai University exams and no. of students placed in MNC's. Also no. of students getting scholarships from various trusts. Department having very good co-ordination between students and staff members. To create Electronics & Telecommunication Engineers equipped with employable skills. To provide the environment to improve technical skills. To encourage the students for collaborative and multidisciplinary activities. To equip the students with engineering proficiency which enables them to work in ethical & professional manner. To design, analyze & synthesize electronic & communication circuits to choose the career path in electronics & Telecommunication field. To demonstrate the personal growth by successfully pursuing higher education. Designing & Problem Identification - Graduate will able to design a electronics &communication system; synthesize & analyze it towards finding the solution. Electronics &Telecommunication knowledge - Graduate will apply the knowledge of Electronics, Communication & Networking towards the betterment of society. Electronics & Telecommunication graduates are employed in Electricity Boards/Utility companies and large industries as engineers and managers, responsible for installation, maintenance, operation of electronic equipments and systems like T.V, Mobile, and Satellite etc. Industries manufacturing large electronic machines and equipments employ engineers in design, production and testing. Educational Institutions and Research establishments recruit electronics and telecommunication engineers as faculty and scientists. The Electronics and telecommunication engineering degree program prepares the graduates to enter a dynamic and rapidly changing field with career opportunities in Telecommunication field in mobile operation, satellite communication, Integrated circuits, Robotics and Control. The demand for electronics engineers is increasing rapidly and there by they are in great demand to meet the requirements. Electronics and Telecommunication engineers are mainly employed in industries manufacturing electronic components, mobile and fixed telephone, internet and accessories, research and development department which work in energy saving devices and systems. Electronics and Telecommunication engineering [UG] course started in 1993. The department is well established and having well qualified and experienced staff members. Prof.Mr. 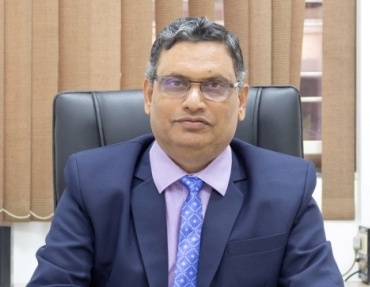 Patil V. P. is the Head of the Department. Date: Thursday, 15th March 2018. Smt. 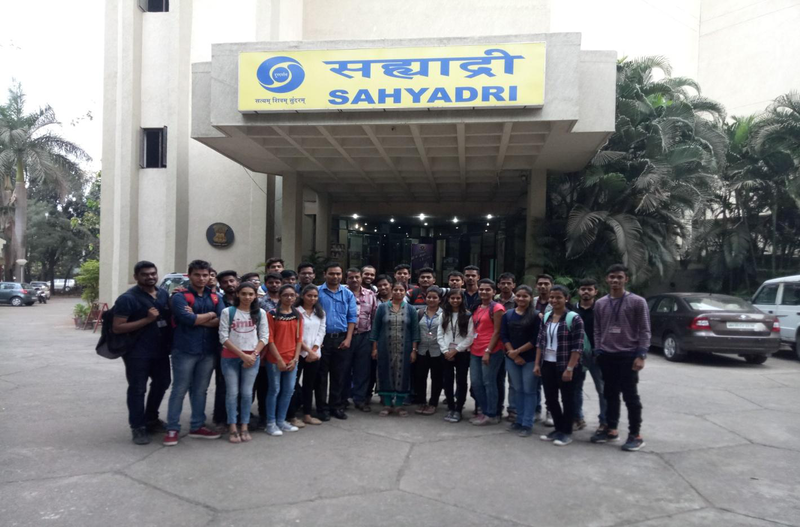 Indira Gandhi College of Engineering, Ghansoli, Navi Mumbai, Electronics and Telecommunication Engineering had organized industrial visit at Doordarshan Kendra, Worli, Mumbai. 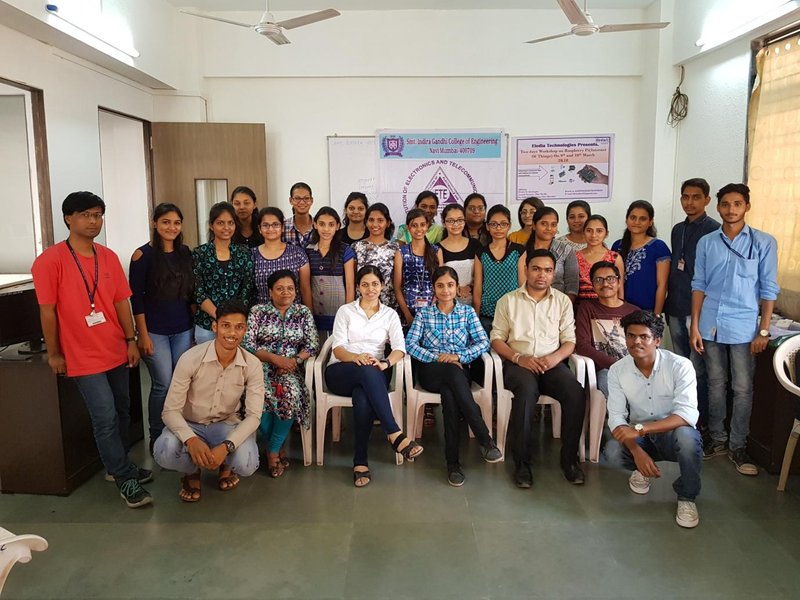 Total 27 students of third year with two teachers' in-charge namely Mrs. Sandhya Tanpure and Mr. Umakant Gohatre on 15th March were presents. Lab consist of all essential equipments, kits like fibre optic comnication , microwave engg, microwave integrated circuits , components like bread boards, power supply, digital multimeter which are required for performing experiments. Lab also contains spectrum analyzer, function generator, DSO, CRO, various types of antennas and kits. This lab is spacious and can accommodate 20 students at a time. The lab is fully equipped with advanced kits. Lab consist of all essential equipments, kits, components such as LED's, transistors, diodes, digital ICs of various gates. All types of demonstration kits are available for verifying all types of experiments related to Digital Electronics. Also IC testers are available for testing the status of various ICs. Lab is spacious and can accommodate 20 students at a time. This lab consists of various kits which are required for performing experiments of 8085 and 8086 microprocessor and 8051 microcontroller. Latest configurations PC are available with internet connectivity and necessary software. This lab is spacious and can accommodate 20 students at a time .This lab also consists Designing and making of PCB Equipments. This lab consist of Advance PCs with latest configuration to support various experiments of Advance Communication Network. All the PCs available in networking for the purpose of conducting practicals on the advance technology i.e. Computer Communication Network, Mobile Communication, Digital Time Domain Signal Processing, Wireless Network, Image Processing. This Lab has facility of Wireless LAN, Blue tooth. This lab is spacious and can accommodate 20 students at a time. Smt. 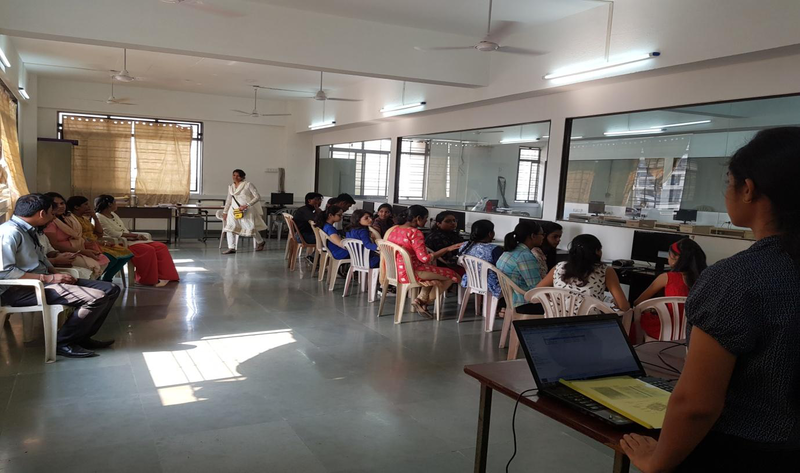 Indira Gandhi College of Engineering, Ghansoli, Navi Mumbai, Electronics and Telecommunication Engineering had organized course on 'Raspberry Pi and IoT' in the Month of March, 2018. In this workshop total 26 students participated with four faculty incharges. Objective of this course was to introduce the students to the recent technology to build their project work in this area. The course duration was 35 hours which contains seminar, hands on practice etc. Electronics and Communication engineering is one of the most popular engineering branches out there. Among the Indian engineering aspirants, this particular discipline has been a popular choice for quite some time. With the evolution of the computer age, electronics & communication has transformed into a field that is inevitable, required by almost all the industries. Electronics is now part of our everyday life, from the mobile phones to televisions, computers and even the high-end advanced satellites that are helping us to lead a smooth life. Even electronics and communication engineering is the major driving force for the present day Information Technology revolution. Electronics and Communication Engineering has also penetrated into other areas like healthcare, instrumentation, and automation, remote sensing, signal processing etc. So students pursuing electronics and communication engineering have a lot of scope in varied industries. Electronics and Communication Engineering graduates will have good scope even beyond 2020. Some of the factors favouring ECE scenario: Growing convergence between hardware and software - this is something that electronics engineers have an edge in when compared to Computer grads. Growing product companies in India. Once we have product companies emerging, electronic engineers are in demand - be it design or comprehensive testing. Open source: One of the best things thats happening, undercurrent is open source community. When you have a great community to learn from and participate in, learning becomes enjoyable and fast on internet. You don't have to go to an top rated university to learn building a prototype of your product. With increasing open sourcing and learning community online, learning costs reduce, which is an important factor for students in India. And hands on experience, on whatever little product you are developing are very important in progressing in engineering. How is the career outlook for ECE students? ECE students can develop an exciting career in industries like consumer electronics manufacturing organization, Telecommunication & IT industries, Health care equipment manufacturing, Mobile communication (2G, 3G, and 4G), Internet technologies, Power Electronics, and other industries like steel, petroleum and chemical industry etc. Graduates in Electronics Engineering also have lots of opportunities in Government and private companies in the areas of design, manufacture, installation, operation, and maintenance of electronics equipment and systems. But getting acquainted with these industries will not be easy as they demand engineers who are more hands-on with the latest technologies.